Google has not yet posted Android 4.4 OTA update for Nexus 4 and the factory image of Nexus 4 doesn’t include the Google experience Launcher. You also don’t get access to Google Now by swiping in from the left of the display, and no new wallpapers or transparency are to be found on Nexus 4 running 4.4 KitKat. Google has stopped pushing Android updated for Galaxy Nexus. Factory images of Android 4.4 KitKat has a built number KRT16O. Technically, there’s no difference in a factory image and OTA update. For those not familiar, factory image files restore your device back to 100% stock, wiping everything from your device. Factory images really come in handy for bricked devices or when you want to go back to stock experience, or looking to resell your device. 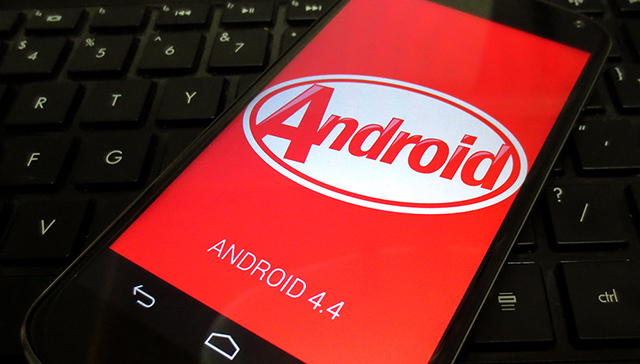 Direct download links for Android 4.4 KitKat for both factory images and OTA (over-the-air) updates are posted below. There are separate 4.4 KitKat files for both WiFi and cellular Nexus 7 devices. These are not update packages, but Factory images and these will wipe your personal data and your device will be as new as it was on day one.